The mission of Cove Pavilion Pre-school is to provide quality child care and learning experiences for children in a safe and caring environment, helping them develop socially, creatively, emotionally, physically and intellectually. We take pride in our highly qualified staff who strive to provide a safe and nurturing environment where children can express their individuality, while we provide them with a variety of experiences enhancing their development. Cove Pavilion takes pride in its’ reputation and strives to uphold and promote values and principles which encompass equality, fairness and honesty. Cove Pavilion Pre-school is a Community Pre-school housed in a Pavilion building on Cove Green in Farnborough, and has been established since 1966. The pre-school is open during the hours of 8.30 a.m. and 3.45 p.m. Monday to Friday, during term times. Your child may attend in a combination of ways during these times. There is a maximum attendance of 24 children at any one time. The setting offers as much flexibility of attendance as possible to assist parents around their work commitments. Times can only be available in accordance with vacancies within the setting. The pre-school is run by a Management Committee and highly trained staff led by an experienced Early Years Teacher. All members of staff hold First Aid certificates. has the expertise of a well qualified Special Educational Needs Coordinator if required. A fun filled summer with lots of exciting activities to make it a summer to remember! 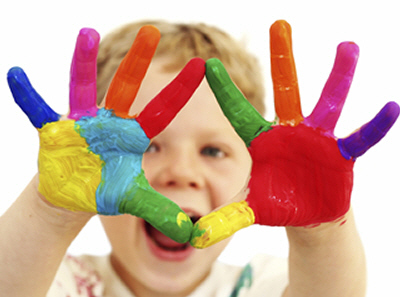 Our days will consist of fun filled activities for children aged 3-6 years. All delivered within a safe and supervised environment. We will be running on Tuesdays, Wednesdays and Thursdays for 4 weeks starting from Tuesday 23rd July 2019. The days will run from 9:00am to 3:00pm. You will be required to bring a packed lunch. A free snack will be provided. Sibling discount available when booking. Cove Pavilion Summer Play Scheme do not issue refunds. In the event of sickness money will only be refunded if the place can be filled by another child. Please telephone us to make an appointment using the contact details below. Easyfundraising.org.uk is the easiest way to raise money for Cove Pavilion Pre-School. Shop with any of over 2,700 retailers and a percentage of what you spend is donated to Cove Pavilion Pre-School at no additional cost to you. Retailers include Amazon, John Lewis, eBay, Tesco and many more.